Using the penultimate week edition of ‘NTA Tuesday Live’, the Nigerian Television Authority talk-show, as barometer to feel the pulse of the nation, it was evidently clear that the stand of the All Progressives Congress (APC) on the election of the leadership of the ninth National Assembly, due to be inaugurated in the first week of June, may not be popular after all. Most of those who phoned in believed that the ruling party, if it does not want a repeat of the event of 2015, where a dissident group within its fold, acting in collaboration with the opposition Peoples Democratic Party (PDP) took over the leadership of the National Assembly, the APC must act differently in its approach to the forthcoming election of the presiding and principal officers of the two chambers of the federal parliament. The programme, hosted by Cyril Stober, had on its panel of discussants a former Minority Leader of the House of Representatives, Muhammed Kumalia; Idahosa West; Daniel Hassan Bwala and Amuda-Kannike Abiodun, a professor of law at the University of Port -Harcourt. The APC leadership and its National Assembly members-elect, particularly the senators-elect, have been at loggerheads over the party’s position that all members should queue behind the Senate Majority Leader, Ahmed Lawan, to succeed Senator Bukola Saraki as Senate President. At the moment, there are two main contenders for the topmost post of the Senate: Lawan, a ranking member and oldest member of the upper chamber, from Yobe State, and Senator Ali Muhammed Ndume, equally a ranking member, from Borno State. The nation’s number three position has been zoned to the North-East from where the two contestants hail. While the ruling party has announced Lawan as its preferred choice, it also warned of the consequence that awaits members who oppose his candidacy. Umar Anarhin, who phoned-in on the NTA Live programmes from Birnin Kebbi, Kebbi State, slammed the APC National Chairman, Mr. Adams Oshiomhole, for warning the senators- elect of the party of facing possible expulsion should they fail to adhere to the party’s position on Lawan. “The party is not a trade union that Oshiomhole may be thinking he is leading. It is like he is comparing the party to a union but they are totally different. You can’t force a candidate on the rest. Why not lobby, beg and negotiate until a consensus is reached? With the way he is going about it, I won’t be surprised if the minority hijacks the process to become the majority. The aggrieved over the utterances and actions of the party may conspire with the minority to impose a leadership on the majority. Oshiomole should know that APC is not a union that he can give orders. It is a political party”, he said. According to him, “You cannot stop it. New generals will emerge on the floor. And if this forced leadership is not inspiring, it is right there that the leadership will be sacked”. To Idahosa, it is unwise for the APC to issue threats on how the new leaders of the National Assembly should emerge. “By doing that, you don’t encourage the growth we want in our democracy and, by extension, you don’t encourage the members to form their caucuses and develop their eventual leaders for the National Assembly,” he continued. Kumalia believed it is the responsibility of the political party to ensure there is consensus among all members, vying for any position especially where you have more than one or two members indicating interest in a position. His words, “If you can through persuasion, engagement and dialogue narrow the contenders to one or two such that the other candidates drop their ambition,that is okay. But in a situation where you talk down on some candidates and all those that want to contest for a position are seen as outsiders, it creates tension which ultimately brings about the feeling of independence among members. “They will say since the party has anointed this person and the party does not want anybody to contest against him, yet they don’t want to engage and dialogue with anybody, they want to impose him on us, that means he is going to be a stooge of the executive. “The day there is total harmony between the executive and the legislature, the ordinary people have been sold. So it is important that the leadership of parliament emerges through the stamp and authority of the lawmakers themselves in addition to the party overseeing the process. “The Senate is not a chamber of boy scouts where you hand over command. I think that is what some find quite abhorrent”. Abiodun agreed that the party has a big role to play in who emerges as principal officers in the National Assembly to the extent that it is only the political party that is allowed in the Constitution to sponsor candidates for elections. “And once the various positions have been zoned by the parties, everything is off its table. I think they should engage other people who have interest in the same position, let them see reasons why they should step down. It is a democracy, not a military institution where it is command and obey”, the professor of law said. “Even if they insist they want to contest after much persuasion, you allow them. That is democracy”. Bwala, in his submission, believed that only a shadow election among all the contestants can reduce the tension the election of the National Assembly presiding and principal officers is generating. “Let them sign an MOU, and the party engages all of them in a debate. Let them tell you their vision for the assembly and the country. Above all, set up a shadow election for them within their caucuses. This, I believe, will reduce this bickering going on”. Now, should shadow election decide who takes the Senate President? In 2015, the majority leader position was zoned to the North-East with Lawan and Ndume also being the main contenders for the office. A mock election was conducted in the office of Senator Danjuma Goje. Lawan scored one vote while Ndume got eleven votes. 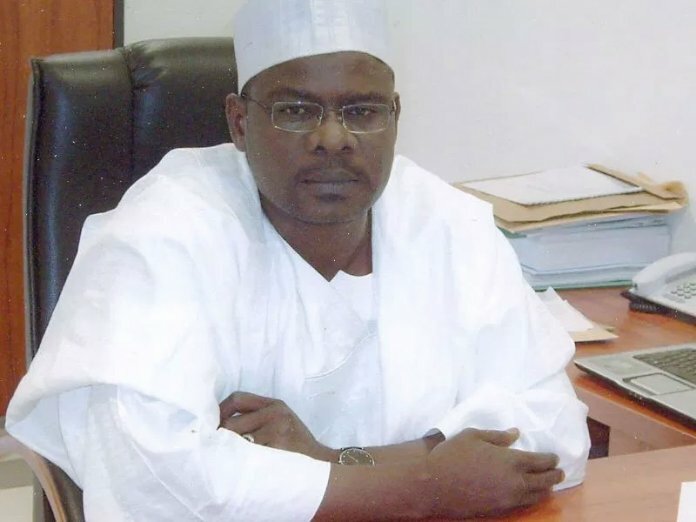 Meanwhile, whereas Lawan was first elected into the National Assembly in 1999, Ndume made his foray into the lower chamber in 2003. But it was Ndume who was elected as minority leader in 2007 and not Lawan. And with both of them now ‘promoted’ into the Senate, Lawan is occupying the office of majority leader which Udume vacated. In essence, even if it is clear that Lawan was elected into the National Assembly ahead of Udume, the fact that the latter occupied the office of minority leader in the lower chamber and majority leader ahead of the former makes Udume the senior of the two, and thus should be rated higher in deciding who gets the Senate Presidency. In addition, party positions are shared based on commitment and loyalty of members. Recall that it was Ndume’s support for the policies of the Buhari-executive, against the wishes of his colleagues in the Senate, that earned him a suspension and his being stripped of his majority leader position with Lawan, becoming the beneficiary. However, Ndume is reported to have said that if the APC leadership does not want to support his bid for Senate President, it should make the contest an open one for all qualified senators-elect to participate, and canvass for votes from their colleagues. He spoke on the heels of the release of his nine-point agenda as President of the Senate. Top on the agenda is his statement to lead the Senate to work harmoniously and inter-dependently with the executive without undermining the principle of Separation of Power while making new laws and reviewing existing ones in tandem with APC’s Next Level Agenda for Nigeria, especially those of Mr. President- Securing the country, Job Creation, Economic and Infrastructure Development, Fighting Corruption, Business and Entrepreneurship Development, Health Care Enhancement Services- HealthCare and Education, and Political Inclusion.